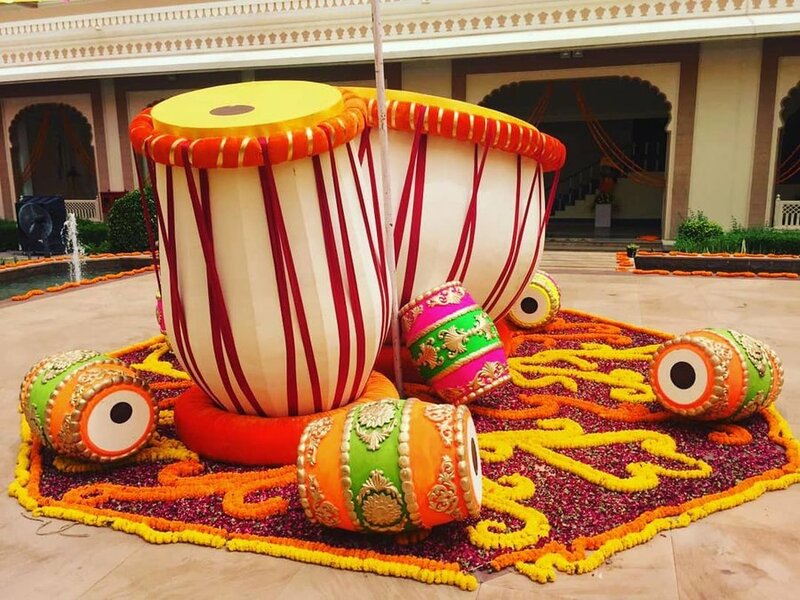 5 Mehendi Decor Ideas For Your Summer Wedding - Wedding Affair var admin_url = "https://weddingaffair.co.in/wp-admin/"
Festivities in an Indian marriage system are incomplete without the Mehendi ceremony, which makes it one of the most important wedding events. Bride-to-be, her friends, and other female guests apply henna on their hand and enjoy the evening full of songs, music, laughter, and dance. 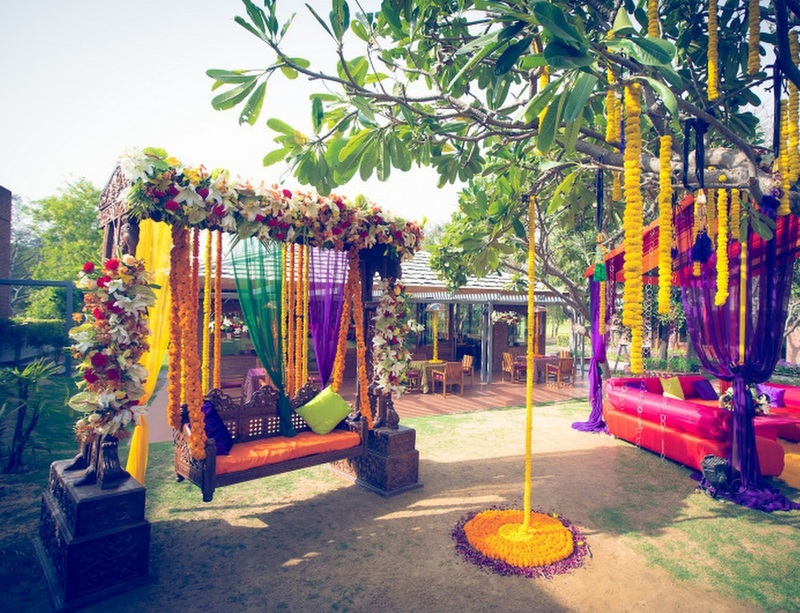 The ambience lits up with the laughter of the bride and it is of the utmost importance that the décor reflects the happy and positive vibes too. 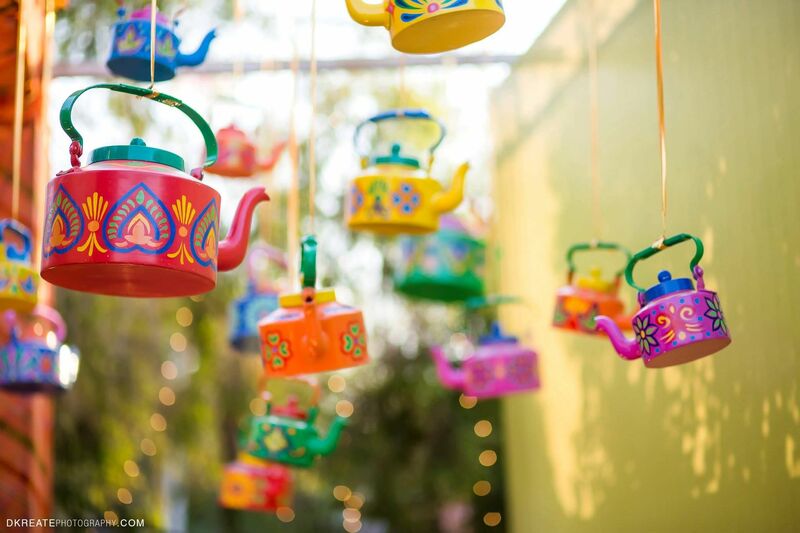 We are bringing some Mehendi décor themes to match with your happy- frequency that lifts up the mood. All you need is some coloured glazed paper, a thread to tie them up and you’re done. 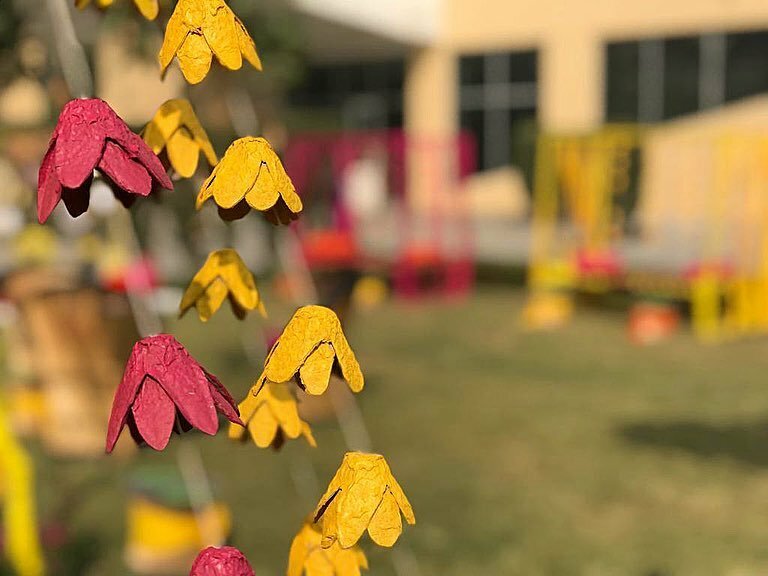 You can craft your paper into flowers, birds or make an appliqué out of your sheets for that totally different and hand-made appearance that looks kitschy-cool at celebrations. It will also remind you of the art and craft’s class in school and surely bring some nostalgic moments. Flowers add fragility, fragrance, and auspice to any occasion. Marigold, Orchids or Roses, flowers beautify the decor instantly. Hang them artistically as a string, bundle-up as a bouquet, or spread the petals over the tables–blossoms never disappoint. 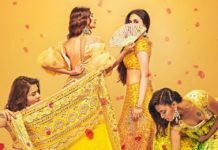 Showcasing your culture, all things vintage or a particular art and era is also a popular theme for Mehendi function nowadays. 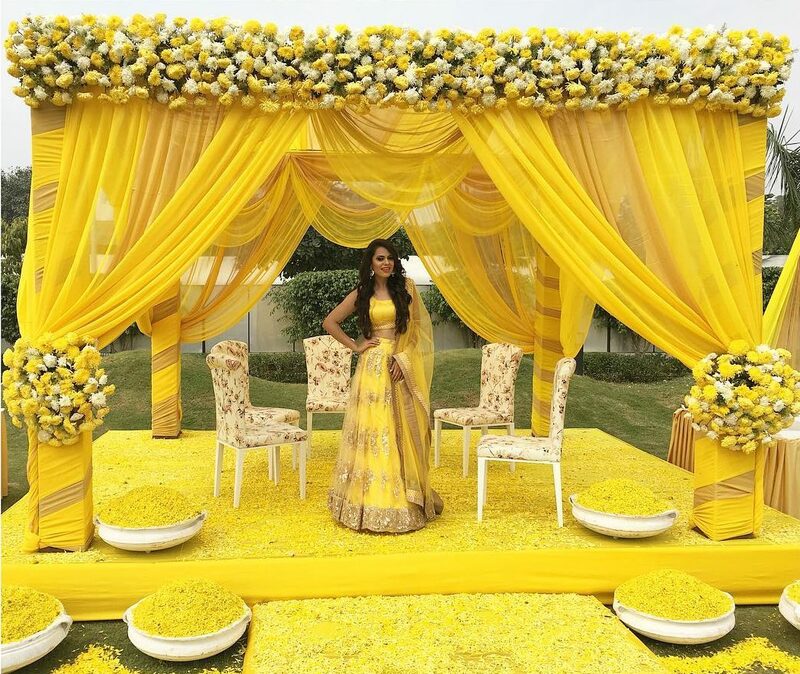 With yellow being the most commonly used colour, different hues can be the highlight of mehndi theme. 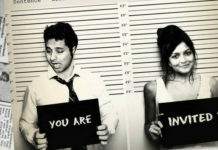 Everything from cushions, to drapes, to dress-code or entrance of the venue, a colour-coordinated theme is evergreen and the most popular ones. 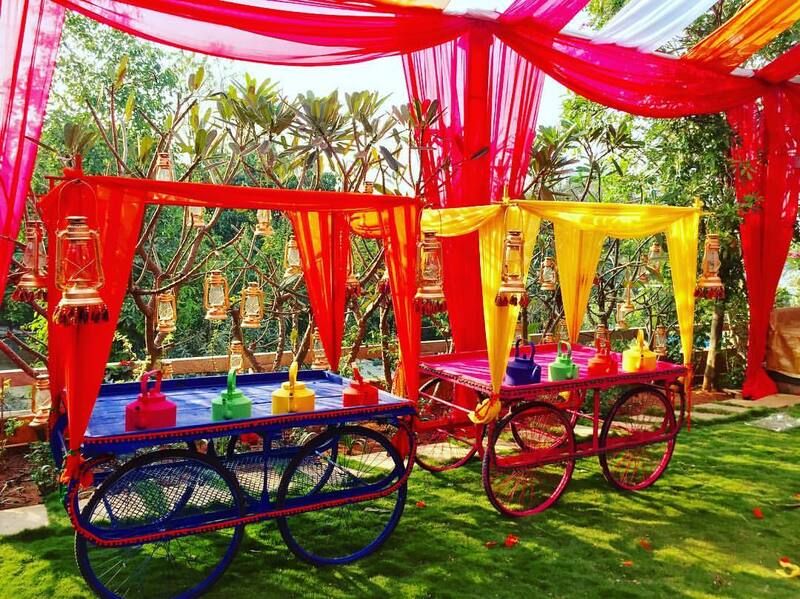 From differently coloured tea-pots to photo-booths, kites, pin-wheel to candy-floss and so on; your Mehendi event can exude a vibrant vibe with these nitty-gritty kitschy items.